Two months after Maruti Suzuki launched its much-awaited hatchback Ignis for the millennial buyers, it marked the entry into a high-performance segment with the Baleno RS. Priced at Rs 8.69 lakh (ex-showroom Delhi), the Baleno RS will be sold through the Nexa dealerships across the country. While it is based on the standard Baleno, the Maruti Suzuki Baleno RS brings to India Suzuki’s latest innovation - 1.0 litre Boosterjet Direct Injection Turbo Charged engine – which delivers 20 percent more power and 30 percent more torque than a conventional 1.2 litre naturally aspirated petrol engine. 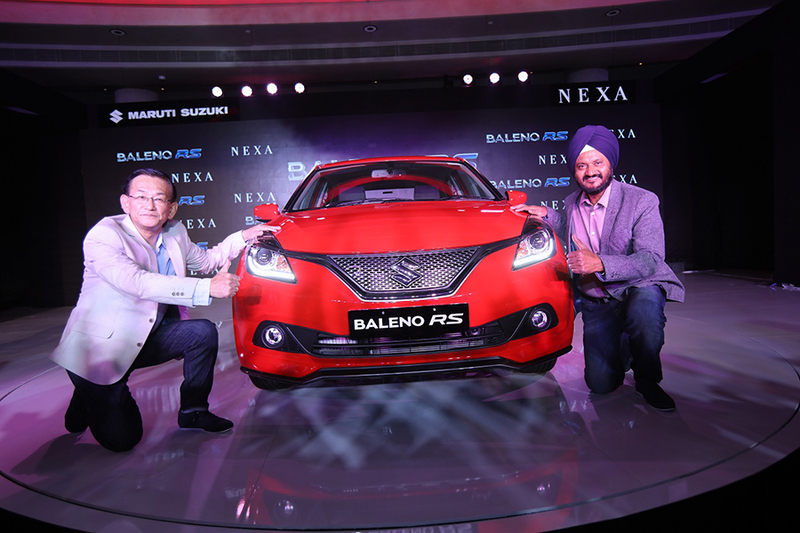 “Baleno RS is for the performance enthusiasts who seek more power, throttle response and excitement in their day-to- day driving,” said Kenichi Ayukawa, Managing Director and CEO, Maruti Suzuki, the country’s automobile market leader. Baleno RS promises to offer a ride across all driving conditions, thanks to peak torque available for a wide range of RPM (150Nm @ 1700-4500 RPM). This enables the driver to drive effortlessly without changing the gears frequently. Currently, the waiting period of the earlier version of Baleno has been ranging over eight weeks depending upon the variants. Going forward, Ayukawa expects the situation to ease as car will be manufactured at Suzuki’s new plant in Gujarat, where the production of the Baleno has already started. So far, the Baleno sells about 10,000 units every month. Baleno RS, that is launched in a single variant (Alpha) will compete with Polo GT and Fiat’s Punto Abarth, among others. These cars are priced in the range of Rs 9.11 lakh to Rs 10.31 lakh.